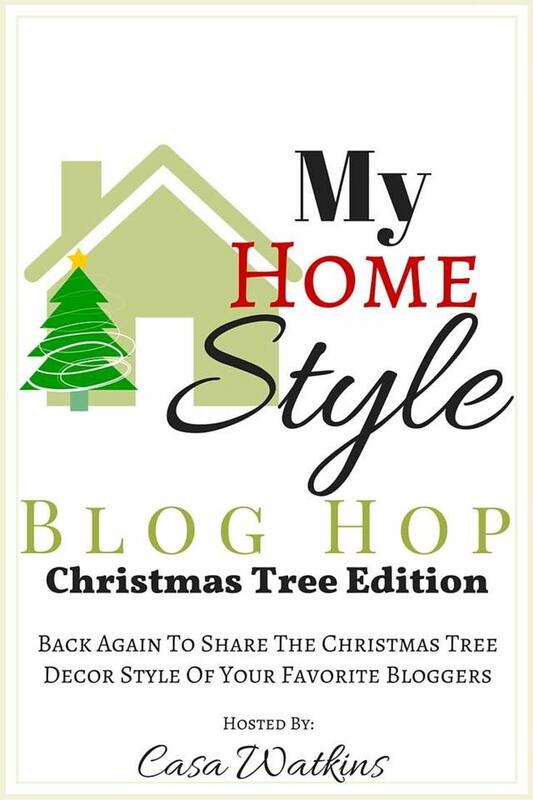 Welcome to the Christmas Tree edition of My Home Style Blog Hop organized by Stephanie of Casa Watkins. 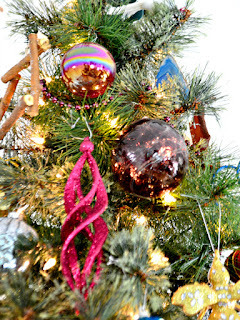 All week long, loads of fabulous bloggers are sharing their Christmas tree style all week long. And that's exactly what I'm doing today. And all week it's about Christmas here at The Boho Abode. Keep up with Christmas Week here. 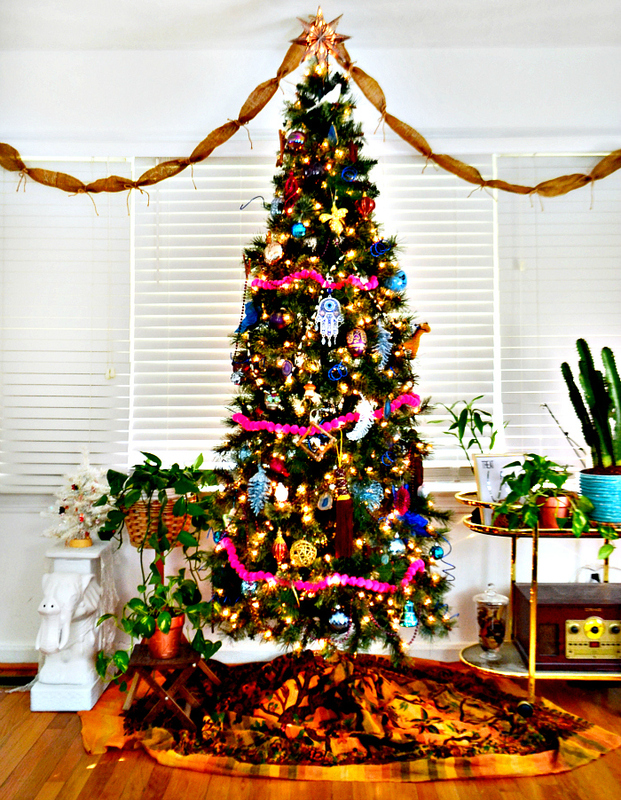 Not only is this the first time revealing my Christmas tree this holiday season, but I'm sharing the style and idea behind it: Vintage Global with a splash of whimsy (essentially how I'd describe boho). If you're landed here from Pocketful of Posies, welcome! Naturally, I'm so happy you're here. If we've never met before, I'm Corinna and you're at A Designer At Home. My passion is creating beautiful spaces meant for living in and this is where I share that passion. Everything from my latest decor obsessions to full on renovations, I share it all here. 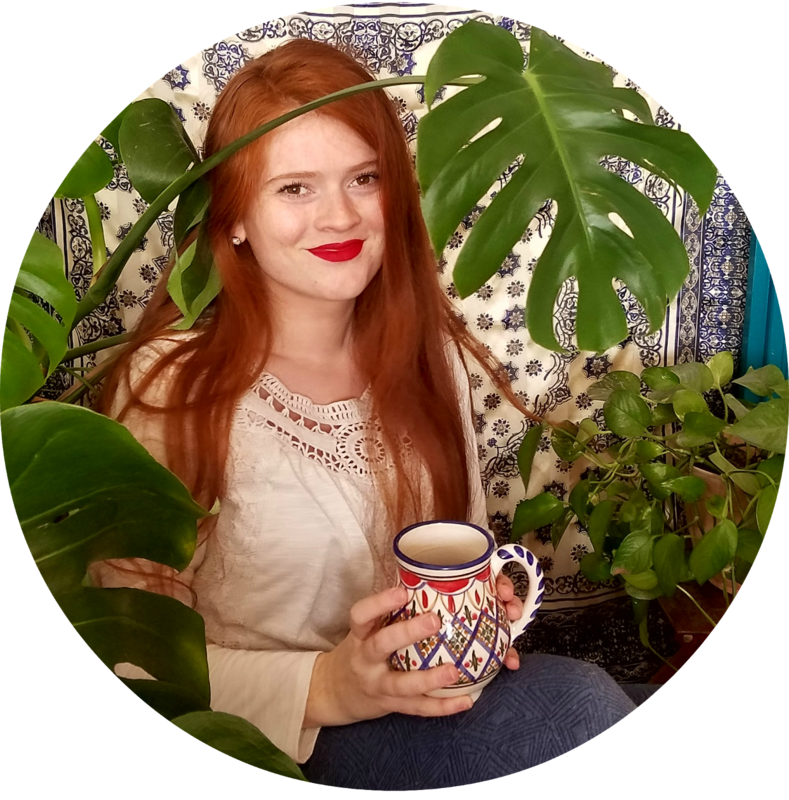 My style is Boho, but more specifically it entails vintage elements, global decor, and a lot of whimsy. Best way to keep up with it all is my newsletter, but I also love to be on Facebook and Instagram! 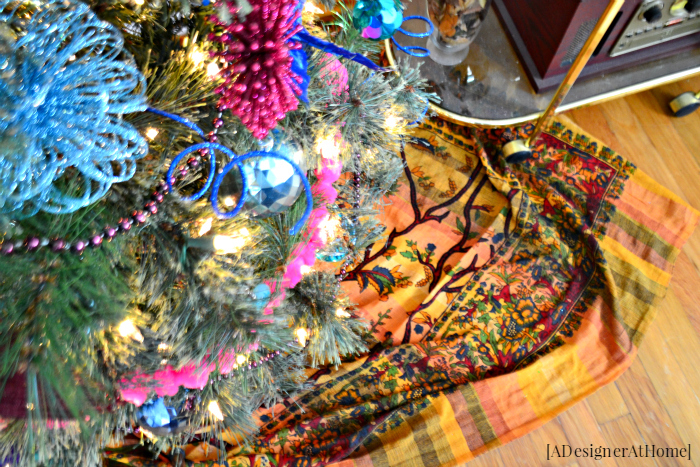 Before I dive into the details of my tree, here's my Global Vintage with Whimsy tree this year! The first element of my style I'll cover is Vintage. Vintage brings character, history and soul to my home. I love the untold stories a dinged up dresser adds. Same with ornaments. I love the imperfections of time. Styles of the past. And I just love giving new life to castaway items. Global decor is something I grew up with. 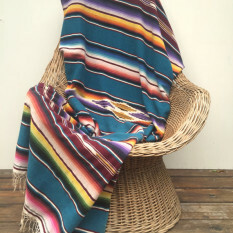 My dad was in the navy and my mom loved Asian and Southwestern decor. This stuff runs in my blood. Our home was always filled with treasures around the world. I don't get the opportunity to do much travel myself, but that's why I'm so thankful for those that do and the internet. You bring the world to those of us stuck in one spot. I tried to pay homage to as many cultures as I could. There's the sugar skull for Mexico's celebration of dia de los muertos. The hamsa with the third eye has origins in middle eastern culture. 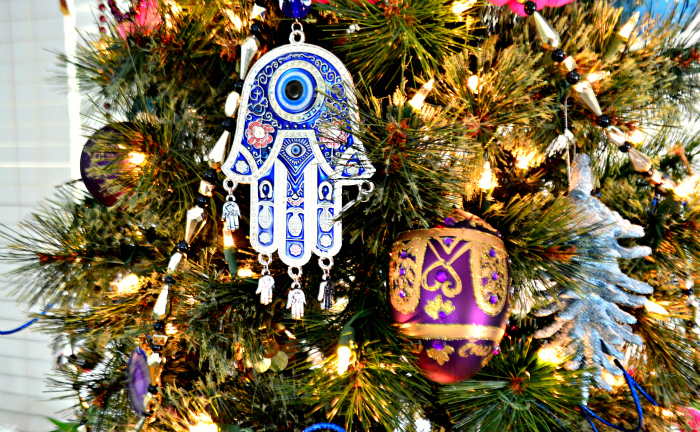 Many of the big box store bought ornaments have shapes and styles similar to moroccan and middle eastern designs. 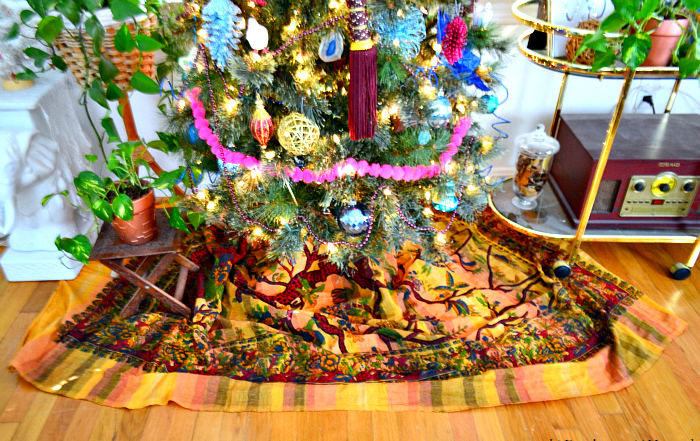 The tree skirt is a tapestry I bought from a man who says it was handmade in India. 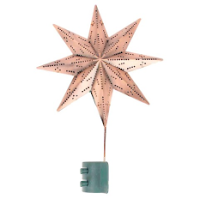 There are a few ornaments with swedish/nordic inspired birds, a couple stuffed animal ornaments that are quintessential animals from Africa, an ornate beetle that immediately reminded me of egypt, the Fabergé inspired egg ornaments are a tribute to Russian history, and even the star topper is a Moroccan inspired punched metal. And finally the whimsy. I like to add a touch of whimsy everywhere I decorate. It's what brings the soul of vintage and global pieces to life. It's fun and creates interest. 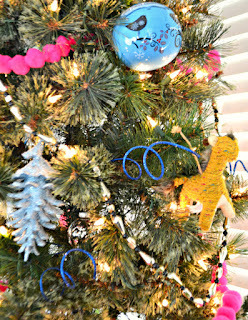 The "conversation starters" of my tree are first and foremost the bright pink pom pom garland. I couldn't resist when I spotted these are target. I put 3 strands just to break up the existing color scheme of metallics, royal blue and cranberry. I keep several totes of Christmas decorations because I stock up on clearance items after the holiday. This year I finally pulled out the royal blue spiral picks. They're quite fun and fill in the gaps nicely. I think the birds make a nice whimsical touch, too. I really love everything that has gone into creating this year's Christmas tree. Many of these pieces actually sit out year round because they make me happy. Carefree draped strands of beads, mix matched ornament styles and ornaments that bring to mind thoughts of the world. This is what I want from my decor. The only thing I wish I could've done this year are more vintage ornaments. I didn't thrift nearly as many as I had hoped. Pickings were just slim this year, I suppose. I still have a few to share this Thursday, though! I encourage you to have fun with your tree, let it tell your story, choose pieces with meaning and throw in a little second hand. 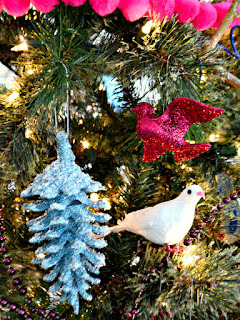 Here are some of my favorite elements of a Global + Vintage + Whimsical Christmas Tree. 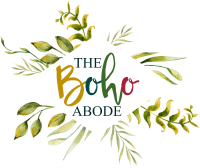 And remember, it's Christmas Week here at The Boho Abode which, spoiler alert, means tutorials are coming for the garland/agate ornaments/twig ornaments- yay! 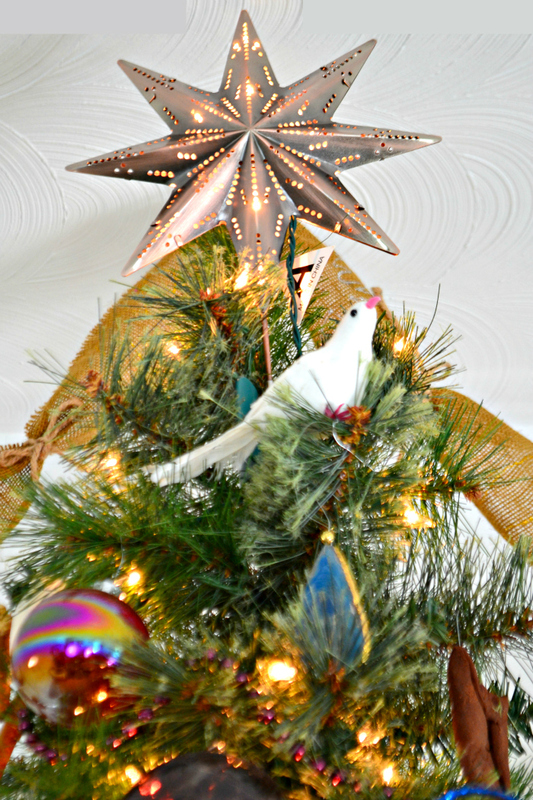 Thank you so much for taking the time to check out my Christmas tree style. I hope you've enjoyed it and that you'll be back. It's Christmas Week here on A Designer At Home, so there's loads of Christmas posts coming your way. Stay tuned! 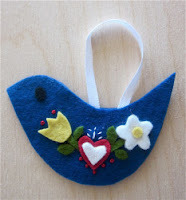 The next stop on this blog hop is The Happy Housie. Surely you've heard of her! She's incredible so I know you'll love the Christmas Tree she's created this year. Head there next! I love that your tree has such a great story behind it! 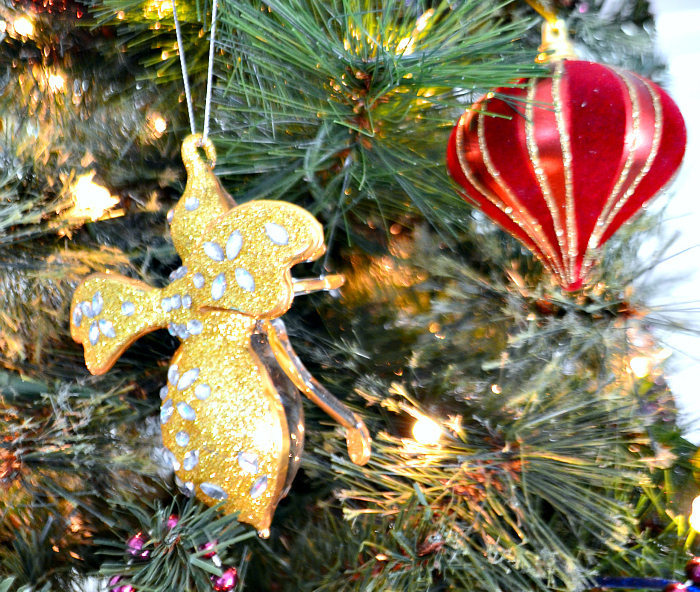 We collect ornaments on our travels too and it makes the tree so much more meaningful! Corinna! LOVE LOVE your tree! I'm always looking to inject global aspects into my home. My father was in the Army so I also grew up in the military with lots of travel. 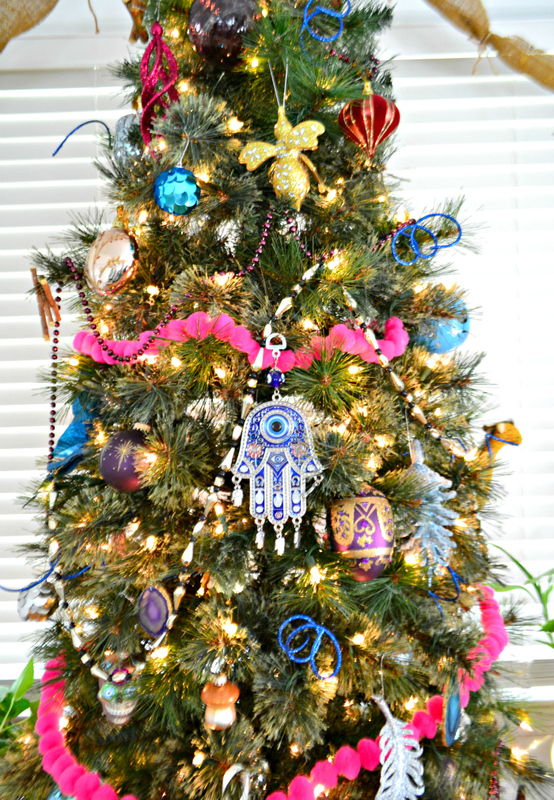 I adore all the aspects of your tree, but of course I am drawn to all those wonderful multicultural ornaments. 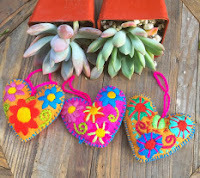 Thanks so much for joining in on the My Home Style Blog Hop! Pinning and Sharing. 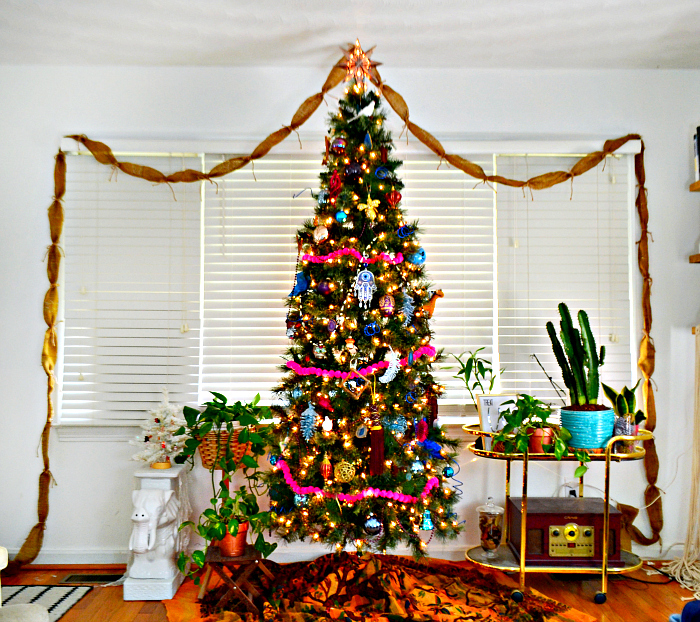 Love your tree with all your unique and special ornaments! I love trees that have meaning like yours. Wow!!! What a unique tree!!! I love all the pieces to it. It's something I would never put together but you make it look amazing! Like, the pink pom pom garland. It takes the tree to the next level! Well done. Wow, Corinna!! Global, Vintage, Whimsy! Such great words to describe your tree style - and what an amazing and unique tree!! Your tree is so bright and unique! 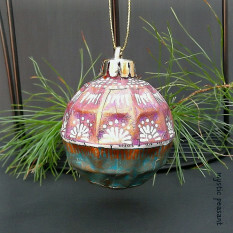 Love all the unusual ornaments and how original it is. Very pretty! I love how you have used these vintage items. 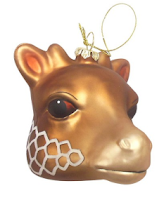 It brings so much uniqueness and beauty to your tree. Wonderful job! I love a tree that's not afraid to be bold and unique! Great color and so many fun details! So unique and full of character! 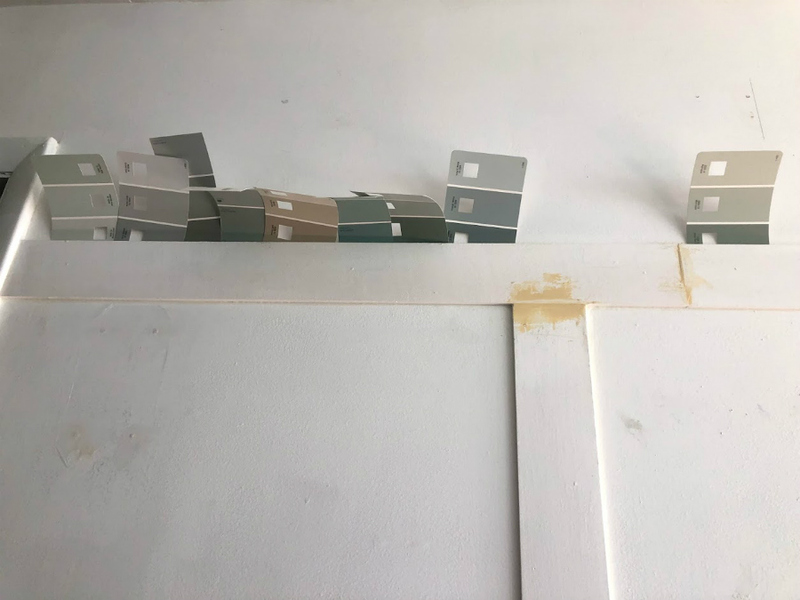 I love it when people take a different approach to a common decorating challenge, and you've certainly done that here. It gives a real sense of your individual style. Beautiful! Corinna! 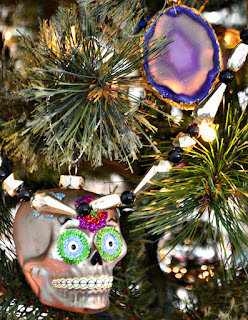 I always love the playful and unique touches your bring to your home and your Christmas tree is no exception! The sugar skull is the coolest and I love that you pay homage to other cultures! But my favorite thing is the story behind all of the elements! I love how unique and colorful your tree is! 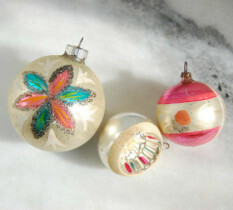 Beautiful and fun ornaments.